Compulsorily Convertible Debentures (CCDs) are considered to be hybrid instruments / and equity linked instrument, i.e. they are treated as debt till the time they are converted into equity. When they are issued it is a debt, after a period of time / milestone, it shall be compulsorily converted into shares. On the other hand, the Optionally Convertible Debentures are debt securities and interest is paid to the investors till maturity and repayment. Under FDI guidelines, CCDs are treated as equity for the purposes of reporting to Reserve Bank of India. The Companies Act, 2013 and the rules issued thereunder (the Act) provide the legal framework for the issue of Debentures by Indian companies. The various kinds of Debentures are (i) Compulsorily Convertible Debentures; (ii) Optionally Convertible Debentures; and (iii) Redeemable Debentures. Section 71 of the Act states that a company could issue debentures with an option to convert into shares either wholly or partly at the time of redemption. CCDs are considered to be convenient as it allows the investor to tap into the Company’s potential without diluting the founders shareholding percentage until the CCDs are converted into shares. Here’s an article that we wrote way back in December 2015, which provides details on CCDs. In this post, we have analysed the nuances associated with the issuance of Compulsorily Convertible Debentures (CCDs). Under the Act, the securities could be issued in any of the following manner: (i) Private Placement Basis (section 42); (ii) Rights Issues (section 62(1)(a); (iii) Bonus Issue (section 63) and (iv) Sweat Equity (section 54). Section 62(1)(a) of the Act regulates the issuance of shares by way of a rights issue to the existing shareholders of the Company. Section 62 states that whenever a company having share capital proposes to increase its subscribed capital by issue of further shares, then such shares shall be offered to persons who are holders of equity shares in the Company in proportion to their paid-up share capital. Most of the practicing professionals opine that CCDs cannot be issued by way of rights issue since Section 62 (1) of the Act explicitly mentions issuance of “shares”. Whereas Section 42 states that a company may make a private placement of “securities”. However, a few professionals opine that CCDs are a hybrid instrument which shall be compulsorily convertible into equity shares and therefore is considered as an equity-like instrument and they argue that the CCDs can be issued under rights issue. The rigour of following the Private Placement under section 42 is quite high, many nuances and high penalties for non-compliances. Section 42 of the Act provides that the offer of securities or invitation to subscribe securities on a private placement basis shall be made to such number of persons not exceeding fifty or such higher number as may be prescribed, (excluding qualified institutional buyers and employees of the company being offered securities under a scheme of employees stock option), in a financial year and on such conditions (including the form and manner of private placement) as may be prescribed. Every private placement of securities must be made with the prior approval of the shareholders of the Company by a special resolution approving the private placement offer letter. The utmost important condition under section 42 is the total face value of each kind of securities issued to each person shall be at least Rs. 20,000. The private placement offer letter is required to be accompanied by an application form addressed specifically to the person to whom the offer is being made. Additionally, the Act lays down the following requirements: (i) the offer has to be made only to those persons whose names are recorded by the company prior to the issue of the offer letter to subscribe to the securities; (ii) a complete record of offers has to be kept by the issuer in a prescribed manner, and (iii) complete information about the offer has to be filed with Registrar of Companies (the RoC) within 30 days of circulation of the offer letter. Allotment in respect of private placement of securities (including CCDs) is required to be completed within 60 days from the date of receipt of application money. Additionally, the consideration so received towards issuance of securities (including CCDs) could be utilised only upon the securities been allotted and the return of allotment in this respect is filed with the RoC. In the event of non-allotment, the consideration so received is to be refunded to the subscribers within 15 days from the date of completion of 60 days. If the company fails to refund the consideration within the 15 days, it is liable to pay interest at the rate of 12% from the end of the 60th day. Considering numerous disclosures, conditions and huge penalties associated with private placement basis, the practicing professionals always tends towards the rights issue mechanism which involves minimal disclosures etc. (a) CCDs as debt or equity instrument: It is also pertinent to note that the under the Foreign Exchange Management Act, 1999 and rules, regulations made thereunder (FEMA), any investment by any non-resident towards CCDs are considered as equity instrument under FDI guidelines. However, the investment by non-resident towards Optionally Convertible and Redeemable Debentures are considered as debt instruments and being construed as External Commercial Borrowings. (b) Terms of Conversion of CCDs: The terms of conversion are to be decided upfront at the time of issuance of these CCDs. It is important to note that the price/conversion formula of convertible capital instruments should be determined upfront at the time of issue of the instruments and the price at the time of conversion should not, in any case, be lower than the fair value worked out, at the time of issuance of such instruments, in accordance with the provisions of FEMA. It may also be noted that there are no explicit restrictions on variation/change in terms of conversion either under the Act or under FEMA. However, the Reserve Bank of India (the RBI) has raised objections to such change in terms of conversions. (d) Fair Market Valuation: The CCDs shall be issued at or above the fair market value as on the date of issuance of such CCDs. The valuation of CCDs shall be done as per any internationally accepted pricing methodology for valuation on an arm’s length basis duly certified by a Chartered Accountant or a Securities and Exchange Board of India registered Merchant Banker or a practicing Cost Accountant. statutory provisions with regard to issuance of CCDs on rights basis being silent, the method of issuance has become slightly ambiguous and lead to varied interpretations. A clarity to this effect from the Ministry of Corporate Affairs would help and aid all stakeholders to issue CCDs without resorting to various interpretations. 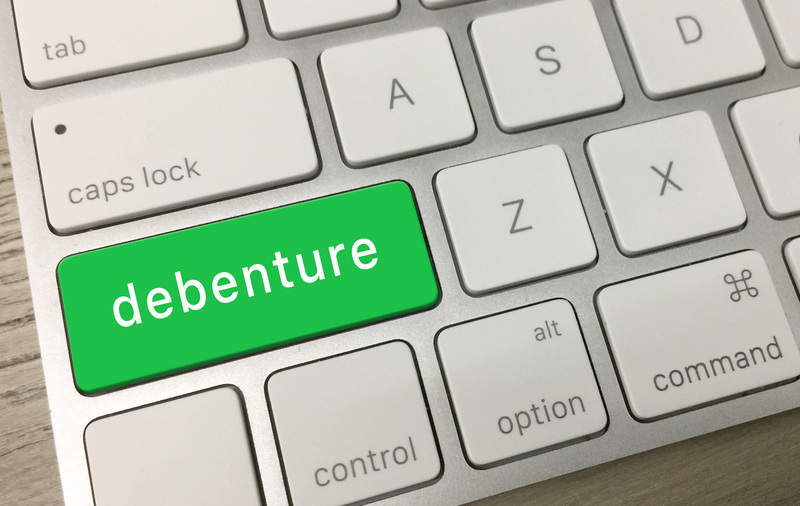 Debenture is defined under 2(30) of the Companies Act 2013 as Debenture includes debenture stock, bonds or any other instrument of a company evidencing a debt, whether constituting a charge on the assets of the company or not. The term “securities” includes debentures. This entry was posted in Articles and tagged CCD, Conertible Debuntre, Debentures, Issues realted to CCD, MCA, ministry of corporate affairs, NovoJuris Legal on March 21, 2018 by novojuris.